Thinking of buying a house in 2012? It is still a buyers market, and time to be aggressive with pricing. The seeds have been planted that the housing market is finally showing signs of a recovery, but don’t let it fool you. It is still a “Buyer’s Market,” and if you realtor doesn’t agree, you need to find another realtor. Being a homeowner, I hope that America is buying into the fact the housing market has at least bottomed. I however have many concerns about the future. The biggest concerns I have are inflation and interest rates. If your house appreciates 1.9% in a year and inflation is 3.0%, you have lost 1.1% of your homes value in a year. If interest rates go up from 3.67% (30 year) to say 5.67%, buying power drastically decreases. The only way the future buyer (who finance at the new rate of 6.5%) can get the same payment as you, is if they pay drastically less for your house. The general rule is a 1% increase in interest rates equates to about a 10% purchasing power loss. That means your $200k house would have to cost $176,500 (-$23,500) for the same payment with a 1% increase in rates. Your $200k house also would have to cost roughly $157,500 (-$42,500) for the same payment with a 2% increase. Noting that a two percent increase historically isn’t much at all. Crazy to think your $200k house could be worth roughly $42,500 less with rates going roughly from 3.7% to 5.7%. Now of course if interest rates are increasing, you have to hope that the economy is improving to mitigate your loss. Regardless you have any idea how many years of payments it would take to recover $42,500? About 9 or 10 years. Live there a decade and have no equity to show at all. 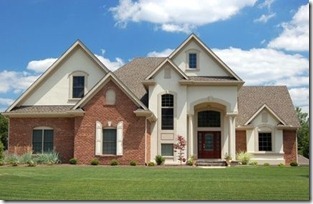 Buying a Home in 2012 has more potential long-term risk than reward. It is very unlikely that we will return to the pre-housing growth levels, but it is possible that inflation and interest rates will drain your equity out of your real estate (directly and indirectly). So when you are thinking about buying a home, it is time to lowball. If another person comes along and outbids you, let them have it. Try not to get emotionally attached to a particular home, it can be costly.